Lidia Grosso is an international Wedding and Portrait photographer based out of Cancun, Mexico. Lidia owns and operates Photosmile, a Photography Studio of freelance photographers that specializes in Destination Weddings, Portraits, Newborn Photography and Corporate Events. Lidia and Photosmile’s work has also been featured in the bridal Canadian Magazines Today’s Bride and Wedding Vacations. 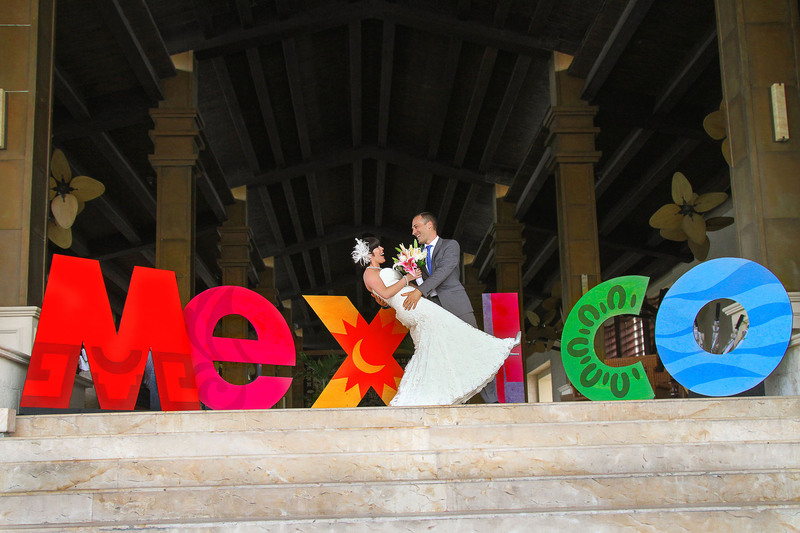 Lidia and Photosmile serve the areas of Cancun, Riviera Maya, Los Cabos and other destinations in Mexico, Turin Italy and any European destinations. Creative Photojournalistic style and capturing the right moment and the real personality of everyone is what we do best, along with understanding of lighting and care for details. Photosmile’s goal is to deliver a creative and fun photographic experience to all of our clients! We will be looking forward to hearing from you to capture your Destination Wedding Love Story, Your Engagement, Wedding Proposal and Family photos! In 2004, I decided to focus full time on photography and began my career in the Bahamas on Paradise Island. After spending some time further crafting my talent, in 2006 I got my own photo concession inside Club Med Cancun. I founded Photosmile SA de CV shortly afterward in 2007 and two years later, I became an independent photographer and launched my first website. I built a very extensive portfolio and I have photographed + 400 weddings and +1000 families during the past 10 years and I have been featured in the bridal Canadian Magazines: Today’s Bride and Wedding Vacations. Since becoming an independent photographer I have been running my own company and I have been fortunate enough to be able to divide my time between Mexico and Italy, mainly during the summer. I am also always open to any assignment that takes me outside Cancun and in that case, I have partnered with a talented team of associates in order to provide reliable, high-quality service year round. My associates and I have been very successful, all thanks to the many clients that have trusted in my services!